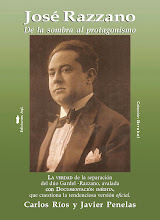 EL LIBRO QUE CAMBIA 50 AÑOS DE HISTORIA. 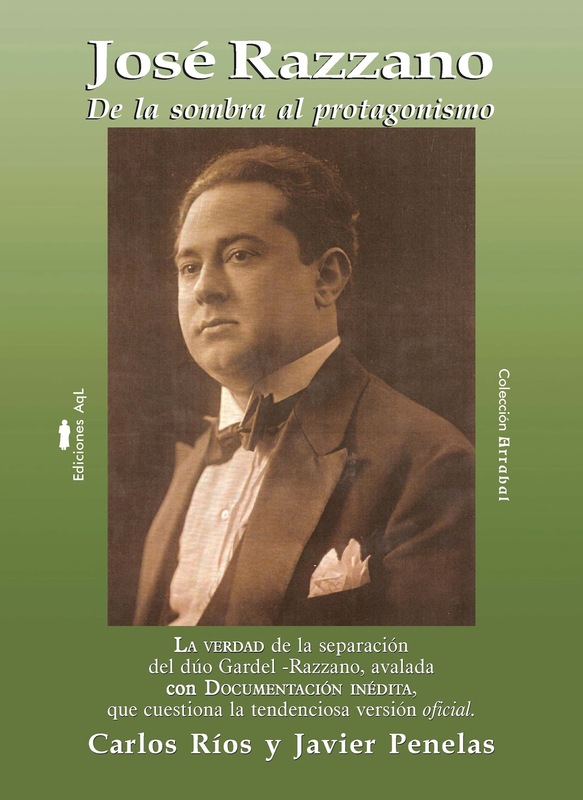 LA PRIMERA BIOGRAFÍA SOBRE JOSÉ RAZZANO CONTENIENDO DOCUMENTACIÓN INÉDITA QUE PERMITE REVELAR POR PRIMERA VEZ LAS VERDADERAS CAUSAS DE SU SEPARACIÓN DE CARLOS GARDEL. 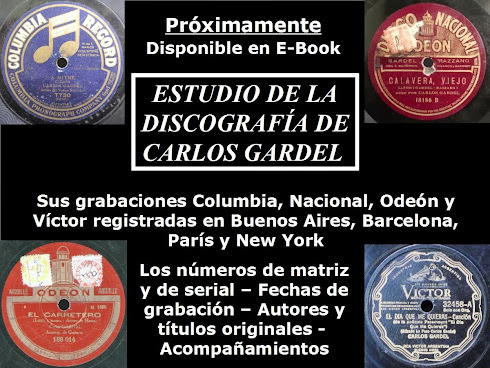 CARTAS, REPORTAJES Y NOTAS PERIODÍSTICAS RIGUROSAMENTE INÉDITAS QUE MUESTRAN CÓMO ERA EN VERDAD LA RELACIÓN ENTRE CARLOS GARDEL Y SUS COLABORADORES. CÓMO HIZO ARMANDO DE FINO PARA GANARSE LA CONFIANZA DEL CANTOR Y SU CAMPAÑA PARA DESACREDITAR A RAZZANO. PRIMICIA ABSOLUTA: LA CAUSA JUDICIAL QUE SE LE INICIÓ A ARMANDO DE FINO POR NO RENDICIÓN DE CUENTAS. TODA LA VIDA DE JOSÉ RAZZANO: SU NACIMIENTO; SU CARRERA ARTÍSTICA ANTES, DURANTE Y DESPUÉS DE GARDEL; SU ACTIVIDAD COMO COMPOSITOR, REPRESENTANTE DE ARTISTAS, MAESTRO DE CANTO Y DIRIGENTE SINDICAL HASTA SU FALLECIMIENTO. TESTIMONIOS DE QUIENES LO CONOCIERON EN SU INTIMIDAD.